With our lovely pillow front complete, it is time to knit the top half of the back of the pillow known as the buttonhole band. This section will overlap the lower back and include the buttonholes to close the pillow. Previous fans will recognize my signature cable-centered buttonholes. I love how the buttons will nestle inside of the diamonds for a polished finish. 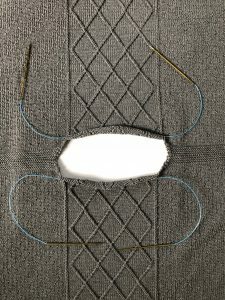 Be sure to place a lifeline through the last row of the pillow front prior to beginning the buttonhole band to aid in centering the pillow in the finishing and to protect your hard work. This section marks a return to the Twisted Rib as worked in Section A. Work the Twisted Rib until the rib measures 7″ from the lifeline or 2″ shorter than the desired length. The upcoming cabled buttonhole section will measure approximately 2″ to add to the length for a total of 9″ from the end of the front to the bind off. The goal is have the top overlap the bottom by about 1 1/2 to 2″. If your pillow front was slightly longer or shorter than mine, you will need to adjust this length. I recommend stretching your piece over the pillow form to assess your required length. Pillow forms vary in the amount of filling so it is best to test the knitting on your form. If your pillow front is longer, then knit the rib section shorter. If your front is shorter, then knit the rib section longer. The yarn and ribbing are very stretchy and it is easy to get a great fit. I stretched the fabric quite a bit over my pillow form for a snug fit. 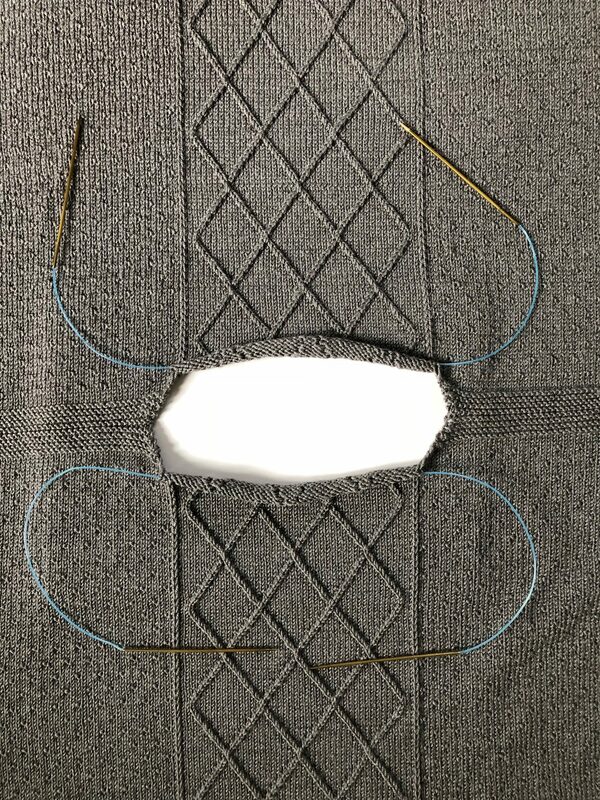 Prior to beginning the buttonhole section, place another lifeline through the last row of ribbing. This lifeline will be handy need to go back and alter the length after completing the buttonholes. 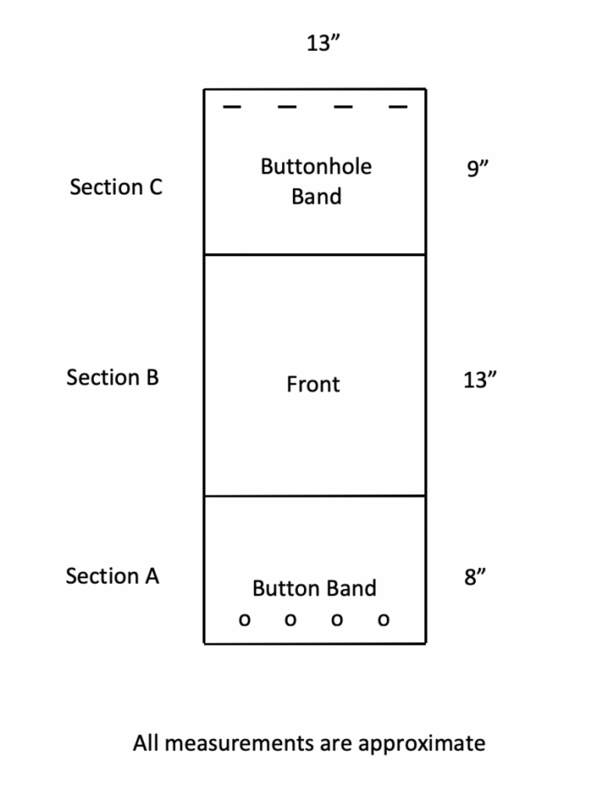 My favorite buttonhole is a one-row style that is sturdy and tidy. The buttonholes are tucked inside of the diamond cables that are similar to those on the front of the pillow. The buttonholes are five stitches wide to accommodate the pretty buttons you have chosen. My Buttonhole video will walk you through all of the buttonhole steps. The video shows a three stitch buttonhole, but it is the same procedure over any number of stitches. The final few rows of the buttonhole section contain some oddly placed purl stitches along the top edge. This is not a mistake in the pattern! These stitches help keep the bind off edge from flaring. Just trust the pattern and work as directed. Finally the stitches are bound off in pattern. This is typically described as work the knits in knit and the purls in purl while executing the standard bind off. The same holds true here. Just remember that left and right twists are considered knit stitches so treat both of the twist stitches as knit. This final edge treatment will keep the edge clean and sophisticated. My fourth skein weighed 26 grams after binding off leaving plenty for tassels. My four tassels used 5g of yarn each for those keeping track of yardage. The above photo shows my completed piece unblocked. I chose to block the fabric for several reasons. The fiber content of Kenzie allows the yarn to soften and bloom after a wet blocking. Blocking also allowed me to coax any stubborn stitches into shape and create a defined sharp top and bottom edge. As you can see below, I ran blocking wire though the the cast on and bind off edges for a razor sharp edge. Pins were sufficient for the sides to keep the width to approximately 13″. For wet blocking you can either pin into place and then spray with water or give the fabric a bath before pinning. My Blocking video will walk any newbies through the process. Next week I will have a comprehensive pillow seaming video ready for your viewing. It will walk you through every step of the finishing process to give you a professional-looking pillow. I will also address those adorable tassels! Until next week, happy knitting! C1BK2 – slip next stitch onto cable needle and hold in back of work, knit next 2 stitches from left hand needle, then k1 from cable needle. C1BK2P – slip next stitch onto cable needle and hold to back of work, k2, p1 from cable needle. C2FK1 – slip next 2 stitches onto cable needle and hold to front of work, knit next stitch from left hand needle, k2 from cable needle. C2FPK2 – slip next 2 stitches onto cable needle and hold to front of work, p1, k2 from cable needle. C4B – slip next 2 stitches onto cable needle and hold in back of work, knit next 2 stitches from left hand needle, then knit 2 stitches from cable needle. C4F – slip next 2 stitches onto cable needle and hold in front of work, knit next 2 stitches from left hand needle, then knit 2 stitches from cable needle. cn – cable needle. RT (Right twist) – knit two stitches together and without taking stitches off left hand needle, reknit the first stitch and remove both stitches from left hand needle. Place lifeline through last row of Front to aid in later finishing. Row 1. (RS) K7, *p2, RT, p1, LT, p2, k4; repeat from * to last 3 sts, k3. Row 2. (WS) P3, *p4, k2, p2, k1, p2, k2; repeat from * to last 7 sts, p7. Work the following 14 rows once ending after Row 14. Row 1. (RS) K7, p1, C1BK2, k1, C2FK1, p1, k4, *p2, RT, p1, LT, p2, k4, p1, C1BK2, k1, C2FK1, p1, k4; repeat from * to last 3 sts, k3. Row 2. (WS). P3, *p7, k3, p7, k2, p2, k1, p2, k2; repeat from * to last 20 sts, p7, k3, p10. Row 3. K7, C1BK2, k3, C2FK1, k4, *p2, RT, p1, LT, p2, k4, C1BK2, k3, C2FK1, k4; repeat from * to last 3 sts, k3. Row 4. P3, *p6, k5, p6, k2, p2, k1, p2, k2; repeat from * to last 20 sts, p6, k5, p9. Row 5. K6, C1BK2, k5, C2FK1, k3, *p2, RT, p1, LT, p2, k3, C1BK2, k5, C2FK1, k3; repeat from * to last 3 sts, k3. Row 6. P3, *p5, k7, p5, k2, p2, k1, p2, k2; repeat from * to last 20 sts, p5, k7, p8. Row 7. K4, C4F, k1, buttonhole, k1, C4B, k1, *p2, RT, p1, LT, p2, k1, C4F, k1, buttonhole, k1, C4B, k1; repeat from * to last 3 sts, k3. Row 8. P3, *p5, k7, p5, k2, p2, k1, p2, k2; repeat from * to last 20 sts, p5, k7, p8. Row 9. K6, C2FK1, k5, C1BK2, k3, *p2, RT, p1, LT, p2, k3, C2FK1, k5, C1BK2, k3; repeat from * to last 3 sts, k3. Row 10. P3, *p6, k5, p6, k2, p2, k1, p2, k2; repeat from * to last 20 sts, p6, k5, p9. Row 11. K7, C2FK1, k3, C1BK2, k4, *p2, RT, p1, LT, p2, k4, C2FK1, k3, C1BK2, k4; repeat from * to last 3 sts, k3. Row 12. P3, *p7, k3, p7, k2, p2, k1, p2, k2; repeat from * to last 20 sts, p7, k3, p10. Row 13. K7, p1, C2FK1, k1, C1BK2, p1, k4, *p2, RT, p1, LT, p2, k4, p1, C2FK1, k1, C1BK2, p1, k4; repeat from * to last 3 sts, k3. Row 14. P3, *p4, k2, p5, k2, p4, k2, p2, k1, p2, k2; repeat from * to last 20 sts, p4, k2, p5, k2, p7. I’m so excited to share Part 2 of Cable Channel with you! I’ve created an original cable pattern to grace the front of the pillow. The staggered diamonds are formed from six different types of cables for a truly unique design. 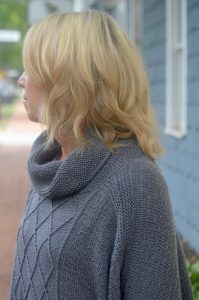 I adore how the twisted ribbing from Part 1 flows into the offset diamonds with a garter stitch center. Both written and charted instructions are provided for this pattern. While it may look complicated, take it one row at a time and you will simply fall in love with the results. For those following the charts, once again the chart is color coded for easy reading. If you are working from the written directions, I recommend highlighting the cable abbreviations within each row to eliminate confusion. The photo below shows how I colored a few rows. As in any intricate pattern, placing markers between repeats will keep mistakes to a minimum. Both written and charted followers alike can refer to the chart to help with marker placement. The pattern repeat is found between the bold lines with the edges stitches outside of them. While these cables are a bit more involved than the simple 2×2 cable, they all follow the basic principles of cabling. Slip a group of stitches to a cable needle and hold to either the front or the back of the work. Work the next group of stitches (may be all knit, all purl, or a combo). Lastly, work the stitches off of the cable needle as directed in knit, purl or a combo of the two. You will amaze yourself at the complicated design that emerges with just a bit more effort. Refresh your cable memory with a quick look at my Cables video. Be extra careful on the wrong side rows. The center of the diamonds are worked in garter so it is very tempting to purl on the wrong side rows. These centers are worked in knit on the wrong side. Work the 36-row repeat three times ending after Row 36. 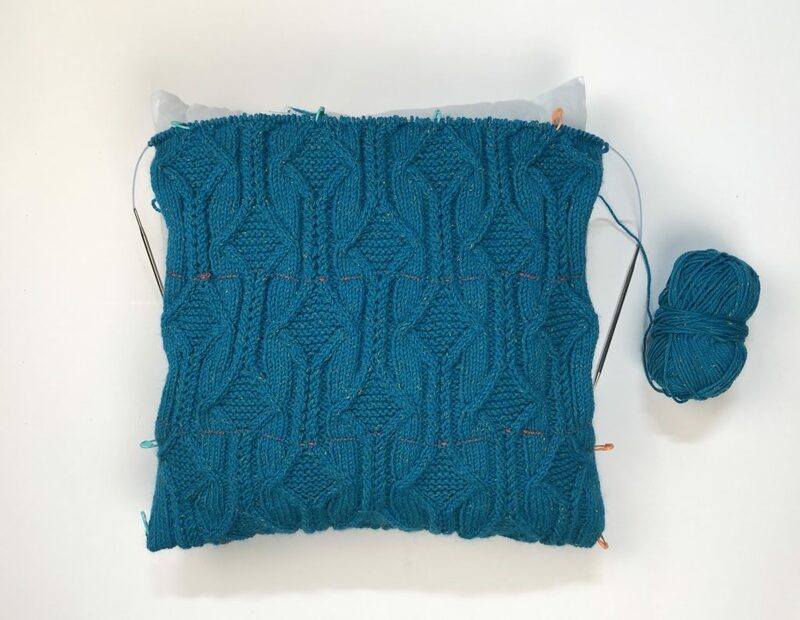 Knit to gauge, the pillow front measures between 13-13 1/2″ high. Due to the way nature of the top edge it is a bit hard to get an accurate measurement. Don’t forget a lifeline at the end of this section to aid in the finishing process. Do not fret if your front is longer or shorter than mine. The pattern is designed with a fluid transition from one stitch pattern to another. It is perfectly acceptable if your front is longer and spills a bit over onto the back. Conversely, if your front is a little too short, you will center it on the pillow with the back stitch pattern showing a little more on the front. I designed the pattern to have a lot of flexibility in the fit. Any size adjustments will occur in Part 3 and everyone will be fine. Have no fear and knit on with confidence! My finished front is slightly smaller than my pillow form (below). It stretched nicely over the form as seen in the first photo of this post. 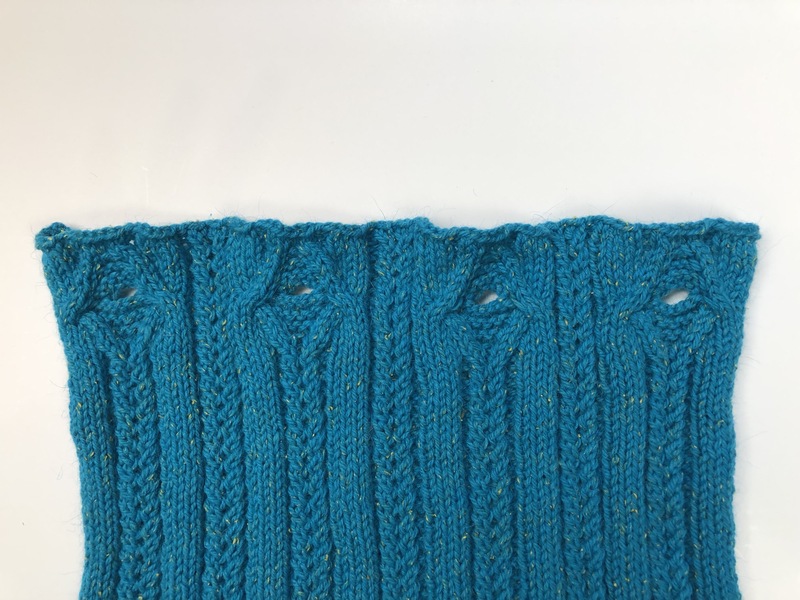 Next week’s clue brings some delightful cable buttonholes to complete the knitting. See you then! For all cable stitches, refer See Cables Video. C4F – slip next 2 stitches onto cable needle and hold in front of work, knit next 2 stitches from left hand needle, then knit 2 stitches from cable needle. Row 1. (RS) K7, p2, RT, p1, *LT, p2, k4, p1, C1BK2, k1, C2FK1, p1, k4, p2, RT, p1; repeat from * to last 11 sts, LT, p2, k7. Row 2. (WS) P7, k2, p2, *k1, p2, k2, p4, k1, p2, k3, p2, k1, p4, k2, p2; repeat from * to last 12 sts, k1, p2, k2, p7. Row 3. K7, p2, RT, p1, *LT, p2, k4, C1BK2, k3, C2FK1, k4, p2, RT, p1; repeat from * to last 11 sts, LT, p2, k7. Row 4. P7, k2, p2, *k1, p2, k2, p6, k5, p6, k2, p2; repeat from * to last 12 sts, k1, p2, k2, p7. Row 5. K7, p2, RT, p1, *LT, p2, k3, C1BK2, k5, C2FK1, k3, p2, RT, p1; repeat from * to last 11 sts, LT, p2, k7. Row 6. P7, k2, p2, *k1, p2, k2, p5, k7, p5, k2, p2; repeat from * to last 12 sts, k1, p2, k2, p7. Row 7. K7, p2, RT, p1, *LT, p2, k2, C1BK2, k7, C2FK1, k2, p2, RT, p1; repeat from * to last 11 sts, LT, p2, k7. Row 8. P7, k2, p2, *k1, p2, k2, p4, k9, p4, k2, p2; repeat from to last 12 sts, k1, p2, k2, p7. Row 9. K7, p2, RT, p1, *LT, p2, C4F, k9, C4B, p2, RT, p1; repeat from * to last 11 sts, LT, p2, k7. Row 10. P7, k2, p2, *k1, p2, k2, p4, k9, p4, k2, p2; repeat from * to last 12 sts, k1, p2, k2, p7. Row 11. K7, p2, RT, p1, *LT, p2, k2, C2FK1, k7, C1BK2, k2, p2, RT, p1; repeat from * to last 11 sts, LT, p2, k7. Row 12. P7, k2, p2, *k1, p2, k2, p5, k7, p5, k2, p2; repeat from * to last 12 sts, k1, p2, k2, p7. Row 13. K7, p2, RT, p1, *LT, p2, k3, C2FK1, k5, C1BK2, k3, p2, RT, p1; repeat from * to last 11 sts, LT, p2, k7. Row 14. P7, k2, p2, *k1, p2, k2, p6, k5, p6, k2, p2; repeat from * to last 12 sts, k1, p2, k2, p7. Row 15. K7, p2, RT, p1, *LT, p2, k4, C2FPK2, k3, C1BK2P, k4, p2, RT, p1; repeat from * to last 11 sts, LT, p2, k7. Row 16. P7, k2, p2, *k1, p2, k2, p4, k1, p2, k3, p2, k1, p4, k2, p2; repeat from * to last 12 sts, k1, p2, k2, p7. Row 17. K7, p2, RT, p1, *LT, p2, k4, p1, C2FPK2, k1, C1BK2P, p1, k4, p2, RT, p1; repeat from * to last 11 sts, LT, P2, k7. Row 18. P7, k2, p2, *k1, p2, k2, p4, k2, p2, k1, p2, k2, p4, k2, p2; repeat from * to last 12 sts, k1, p2, k2, p7. Row 19. K7, p1, C1BK2, k1, *C2FK1, p1, k4, p2, RT, p1, LT, p2, k4, p1, C1BK2, k1; repeat from * to last 11 sts, C2FK1, p1, k7. Row 20. P7, k1, p2, k1, *k2, p2, k1, p4, k2, p2, k1, p2, k2, p4, k1, p2, k1; repeat from * to last 12 sts, k2, p2, k1, p7. Row 21. K7, C1BK2, k2, *k1, C2FK1, k4, p2, RT, p1, LT, p2, k4, C1BK2, k2; repeat from * to last 11 sts, k1, C2FK1, k7. Row 22. P9, k2, *k3, p6, k2, p2, k1, p2, k2, p6, k2; repeat from * to last 12 sts, k3, p9. Row 23. K6, C1BK2, k3, *k2, C2FK1, k3, p2, RT, p1, LT, p2, k3, C1BK2, k3; repeat from * to last 11 sts, k2, C2FK1, k6. Row 24. P8, k3, *k4, p5, k2, p2, k1, p2, k2, p5, k3; repeat from * to last 12 sts, k4, p8. Row 25. K5, C1BK2, k4, *k3, C2FK1, k2, p2, RT, p1, LT, p2, k2, C1BK2, k4; repeat from * to last 11 sts, k3, C2FK1, k5. Row 26. P7, k4, *k5, p4, k2, p2, k1, p2, k2, p4, k4; repeat from * to last 12 sts, k5, p7. Row 27. K3, C4F, k5, *k4, C4B, p2, RT, p1, LT, p2, C4F, k5; rep from * to last 11 sts, k4, C4B, k3. Row 28. P7, k4, *k5, p4, k2, p2, k1, p2, k2, p4, k4; repeat from * to last 12 sts, k5, p7. Row 29. K5, C2FK1, k4, *k3, C1BK2, k2, p2, RT, p1, LT, p2, k2, C2FK1, k4; repeat from * to last 11 sts, k3, C1BK2, k5. Row 30. P8, k3, *k4, p5, k2, p2, k1, p2, k2, p5, k3; repeat from * to last 12 sts, k4, p8. Row 31. K6, C2FK1, k3, *k2, C1BK2, k3, p2, RT, p1, LT, p2, k3, C2FK1, k3; repeat from * to last 11 sts, k2, C1BK2, k6. Row 32. P9, k2, *k3, p6, k2, p2, k1, p2, k2, p6, k2; repeat from * to last 12 sts, k3, p9. Row 33. K7, C2FPK2, k2, *k1, C1BK2P, k4, p2, RT, p1, LT, p2, k4, C2FPK2, k2; repeat from * to last 11 sts, k1, C1BK2P, k7. Row 34. P7, k1, p2, k1, *k2, p2, k1, p4, k2, p2, k1, p2, k2, p4, k1, p2, k1; repeat from * to last 12 sts, k2, p2, k1, p7. Row 35. K7, p1, C2FPK2, k1, *C1BK2P, p1, k4, p2, RT, p1, LT, p2, k4, p1, C2FPK2, k1; repeat from * to last 11 sts, C1BK2P, p1, k7. Row 36. P7, k2, p2, *k1, p2, k2, p4, k2, p2, k1, p2, k2, p4, k2, p2; repeat from * to last 12 sts, k1, p2, k2, p7. Work above 36 rows three times ending after Row 36. Welcome to the Progressive Needles Knit Along sponsored by Skacel Collection. I can’t thank the folks at Skacel enough for their dedication to knitting education that makes this series possible! A portion of the 4-part mystery pattern is revealed here on the 1st, 2nd, 3rd and 4th Thursdays in April at 9am Eastern time. The weekly pattern, video resources and lots of helpful tips are included in each post. 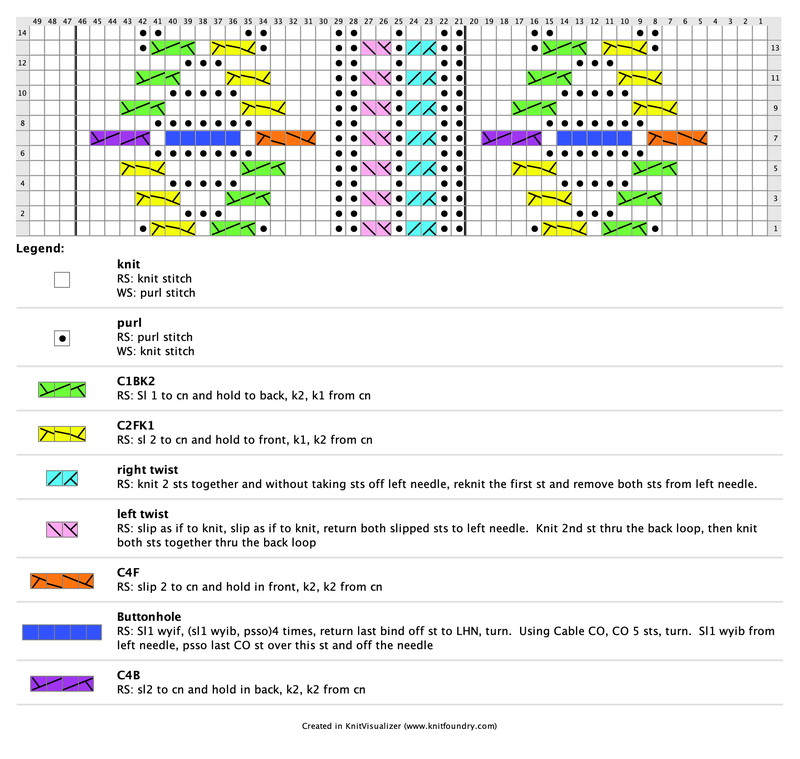 An abbreviated, pattern-only version is included to download. Projects completed by May 31st are eligible for the monthly prize drawing – first prize is a set of addi Clicks! See skacelknitting.com for all the info. 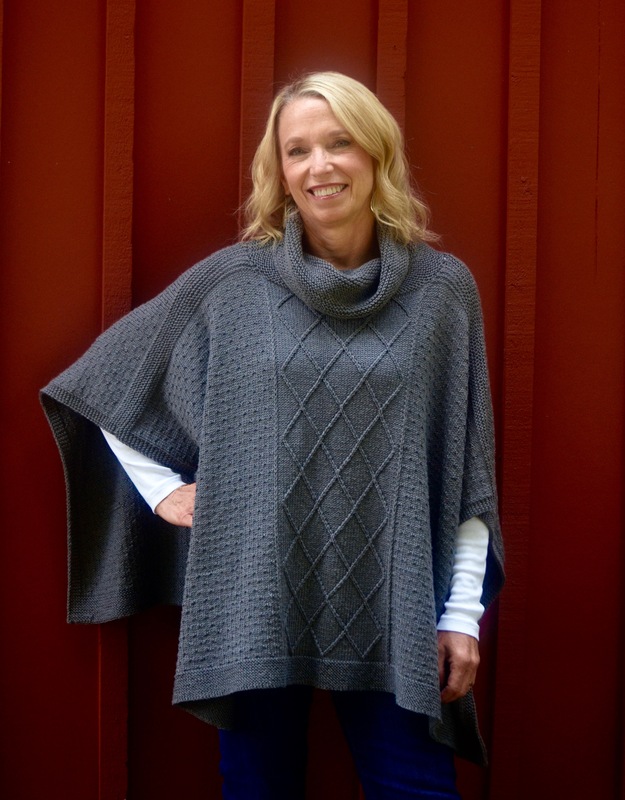 VERY IMPORTANT: Cable Channel is a FREE pattern through May 31st. After this date, it will only be available for purchase on Ravelry. Be sure to download each portion of the pattern prior to this date. Saving it to your Ravelry page will NOT save the pattern. The helpful tips and videos for each section will remain on my website indefinitely. I will admit to being a bit of a pillow fanatic. My philosophy is that a sofa is just a vessel to hold pillows! I regularly rotate pillows on beds and sofas to keep the decor fresh and interesting. I decided it was high time that I brought you on board with this delightful obsession. Cable Channel is designed for easy seaming. It is knit in one long piece that is folded and overlapped to be buttoned on the back. The schematic below shows the approximate measurements of the pillow top after blocking and the order of the knitting. Today’s clue begins with Section A where the buttons will be added later in the finishing process. Section A is comprised of a lovely twisted rib design. Not only is this pattern good looking, the ribs will hug the pillow form for a snug fit. I chose to cast on with the Crochet Cast On method because it leaves a nice clean edge and no long tail calculation is required. Any cast on technique will work, but I recommend giving it a try. It’s my go-to cast on for large numbers of stitches where a firm cast on is not needed. Watch my Crochet Cast On video for a quick tutorial. The instructions are given in both written and charted formats to suit your preference. Note that the chart is color coded for easy reading. If you are unable to print in color, use highlighters or colored pencils to aid you. 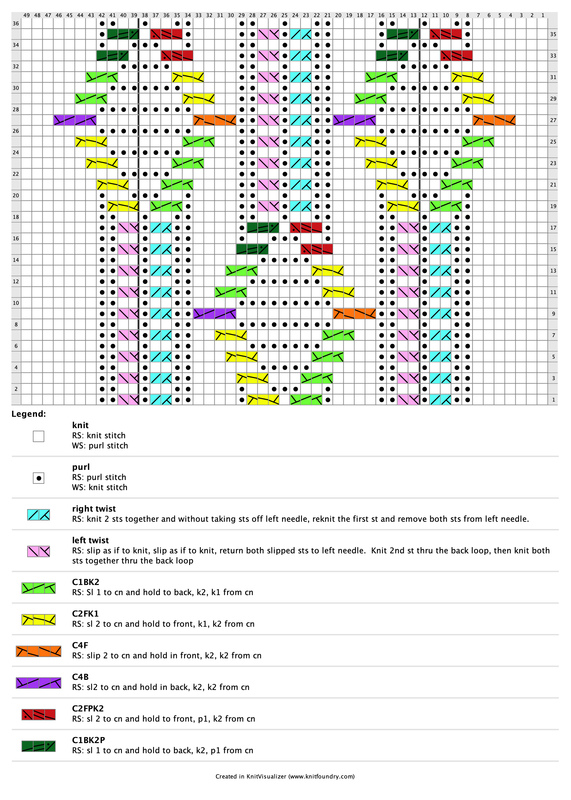 The pattern’s 13-stitch repeat is found between the bold lines in the chart. No matter how you choose to read the instructions, I’m betting that the design will be easily memorized and be a quick knit. The Twisted Rib uses both left and right twists to achieve its braided appearance. I have once again chosen to use the Left Twist- Mirror Image since it most closely mimics the Right Twist. Check out the linked videos to refresh you on these cable-like cousins. The Twisted Rib is worked until the piece measures 8″ from cast on edge. At first the fabric will seem way too wide, but it will pull in nicely after a few inches when the rib starts to pull in horizontally. Do not bind off as the pillow will continue over these same 101 stitches. I recommend laying the width of the piece over your pillow form to evaluate the fit. Pillows vary in level of filling so it is best to check your knitting with your exact form. The rib stretches and pulls so it is very forgiving to fit but a little awkward to measure. My button band measured approximately 11 1/2″ wide unstretched prior to blocking, but anything close to that will work. At the completion of this section, be sure to place a lifeline through your stitches. This lifeline will be used in the finishing process and will safeguard your hard work. I have listed my yarn usage as a reference for your knitting. At the completion of the pillow, I had 25g (half of a skein) remaining. However, following today’s big trend, I chose to add tassels to the corners of the pillow and I adore the look! The tassels used 5 grams each. I let you in on this little secret in case you want to keep a close eye on your yardage. I will reveal all of the tassel details in Part 4. Please join my Ravelry group where you can find lots of support from me and the thousands of other members. I answer questions daily and many of the members also offer helpful tips and encouragement. It’s a fun and vibrant community of knitters. Enjoy the pattern and see you next week! Cast on 101 sts. (I used Crochet Cast On, but any method is acceptable.) . 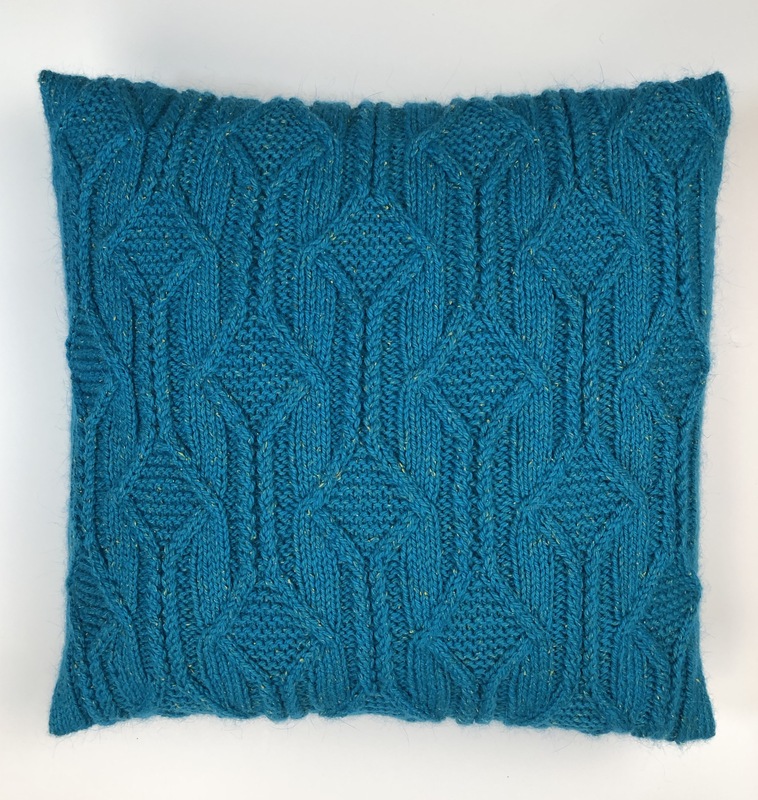 Join me this April for Cable Channel, a stylish pillow featuring an original cable pattern. 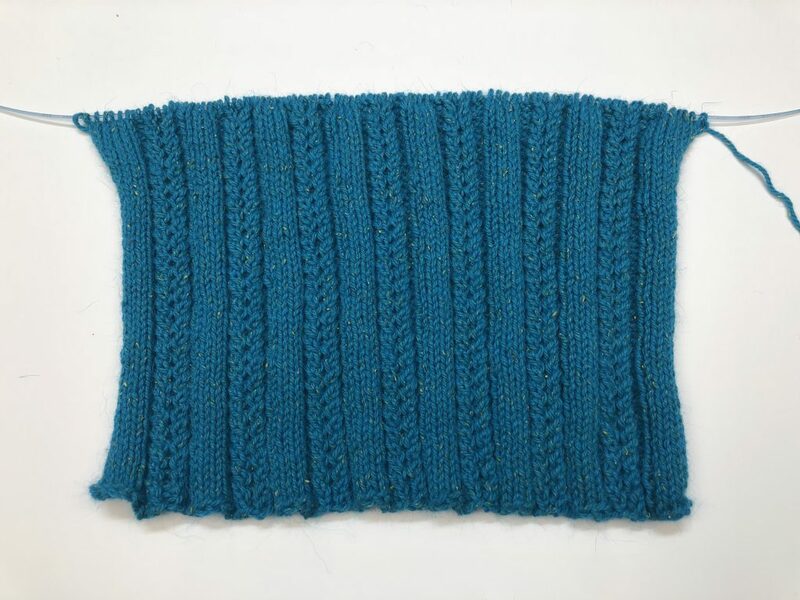 Knit in HiKoo Kenzie, the design creates a rich fabric to add beauty and texture to any decor. Pillows provide the perfect platform to explore new techniques and hone the finishing skills. They also make great gifts! HiKoo Kenzie delivers the excellent stitch definition and durability best suited for casual luxury. Available in over 25 colors, there is a shade to match every décor or provide that perfect “pop” of color. With the wide selection of Skacel Buttons, it’s a snap to find the perfect button. 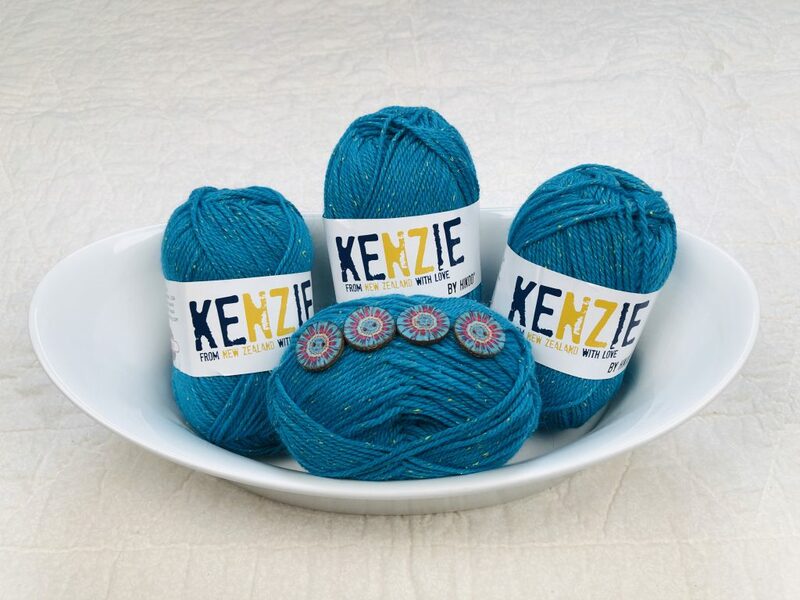 Check out all of the vibrant colors of Kenzie and browse the beautiful Skacel button catalog. The possibilities are endless! When does the KAL start? Thursday, April 4th and continues every Thursday in April. What does the pillow look like? The KALs are a mystery knit. A portion of the pattern is released each week to add to the excitement. I promise to deliver a cable pattern that is sure to impress you! My trusted test knitters are still raving about it. Nope, it is absolutely FREE! Just head to my website to download the instructions anytime after 9am on April 4th. Also included are helpful tips, videos and photos to guide you. Yes!!!!! I monitor questions daily on my website and in my Ravelry group. It’s like having your won private knitting tutor. Where can I buy the yarn? The KAL suppliers link below lists many of the shop that carry HiKoo Kenzie. Check your local yarn shop or jump online to find many fine retailers happy to ship to you. Any shop that carries HiKoo can order the buttons as well. Match Play is no longer a free pattern! The KAL has expired and the complete pattern may be purchased on Ravelry. The helpful tips tips and information will continue to be available. Just scroll down to find the pertinent section. I’m so excited to reveal the completed Match Play! I knit the reversible Option #1 version seen above. I can’t wait to see what version you will be wearing! The neck shaping will complete Side Two. Option #1 and #3 are worked the same. Option #2 sneaks in a k3tog in Row 1 to remove the added increase stitch worked way back in the set up. 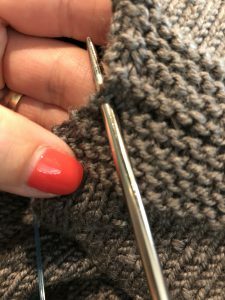 The bind off gets its name from the three needles required to work the seam. Place the 76 resting stitches from one shoulder onto a circular needle and its corresponding shoulder stitches onto a second circular needle. These needles can be any size since the stitches will be knit onto a third needle. (Stitches take on the size of the needle they are knit onto.) For the third needle, use the #6 – 16″ circular (smaller size) needle. Very importantly, the three-needle bind off is worked with right sides together. The needles holding the stitches are parallel and pointing to the right. The tail remaining from one of the pieces serves as the working yarn for the bind off. You will have two tails hanging from the sides, but only one is used. (I provided this so that no matter where you start, your work will look like my video.) Insert the third needle into the first stitch on each needle and knit the two stitches together. One stitch is now on the right hand needle. Again, insert the third needle into the first stitch on each needle and knit the two stitches together. There are now two stitches on the right hand needle. With one of the left needles, lift the first stitch over the second stitch and off the right hand needle. Repeat until one stitch remains. Cut the yarn and draw it through the last stitch. I prefer to bury the shoulder tails into this seam. Repeat the same process for the second shoulder, leaving the center 48 stitches on each side on a holder. The photo below shows both shoulders seamed with the center stitches resting on extra needles serving as holders. 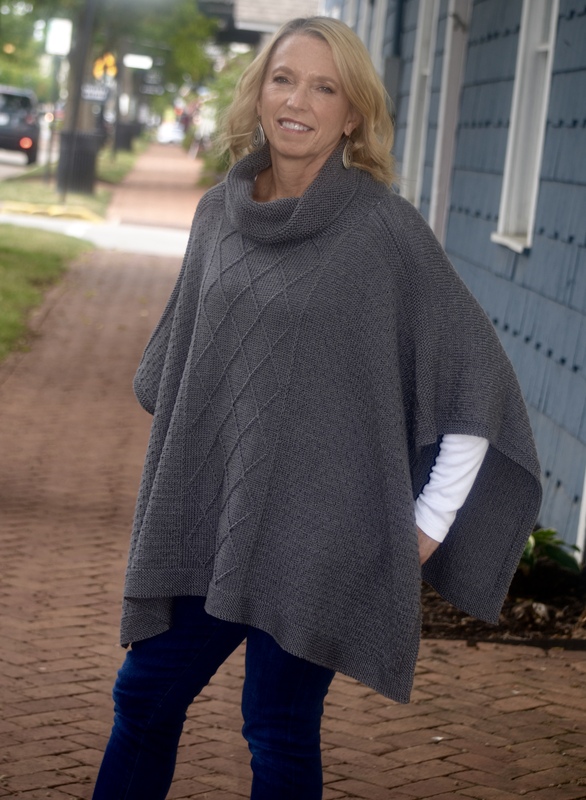 The poncho is topped off with a softly draped cowl. The cowl is knit in garter stitch to complement the lower and side garter edges. Using a #6 – 16″ circular needle and starting at left front shoulder, join yarn and pick up and knit 4 stitches – one in each garter ridge. When picking up and knitting, work from right to left with Right Side facing. Insert needle tip from front to back between the edge stitch and the second stitch at the ridge (see photo below). Wrap the yarn around the needle tip as if to knit and draw through a loop to the Right Side – one stitch has been picked up and knit. 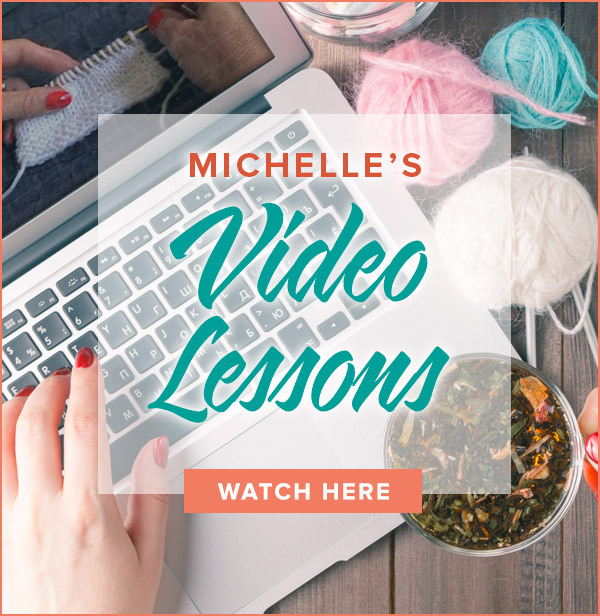 If you are new to picking up stitches, I recommend watching my Pick Up and Knit Video. Next, knit the held 48 center stitches onto the needle. Pick up and knit four stitches up right front shoulder (one in each ridge). Moving to the back, pick up and knit four stitches down right back shoulder (one in each ridge), knit back center 48 stitches on the needle, and finally, pick up and knit four stitches up left back shoulder (one in each ridge). There are 112 stitches on the needle. Place a marker and begin working in garter stitch. 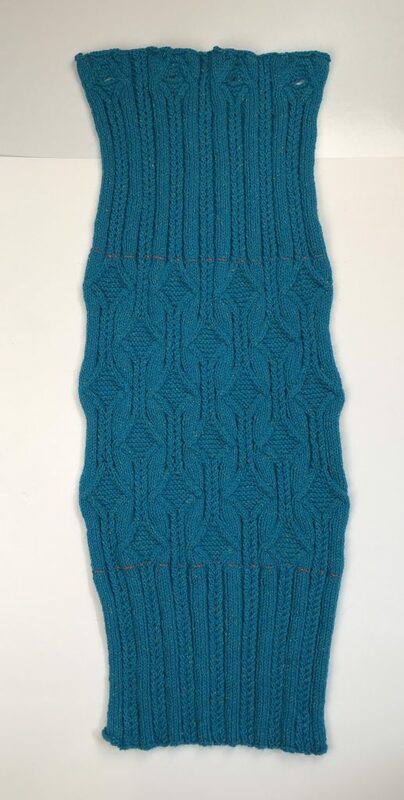 Unlike garter stitch worked flat where every row is knit, garter in the round alternates purl and knit rounds. Round One is worked in purl with Round 2 worked in knit. Repeat Rounds 1 & 2 until neck measures 4″. Change to #7 – 16″ circular needle and knit another 4″ for a total neck height of 8″. Working garter in the round leaves a faux “seam” at the beginning of the round which appears as an extension of the shoulder seam. The I-cord bind off adds stability to edges and is completely reversible making it a perfect choice for neck edges. I usually find that a three stitch version works well and that is the size used here and demonstrated in my video, I-cord Bind Off. You can use both ends of your circular needle for the bind off, but I find it more comfortable to use a double pointed needle (#7 in this instance) as my right hand needle. Remember that the pattern is free until December 1st. 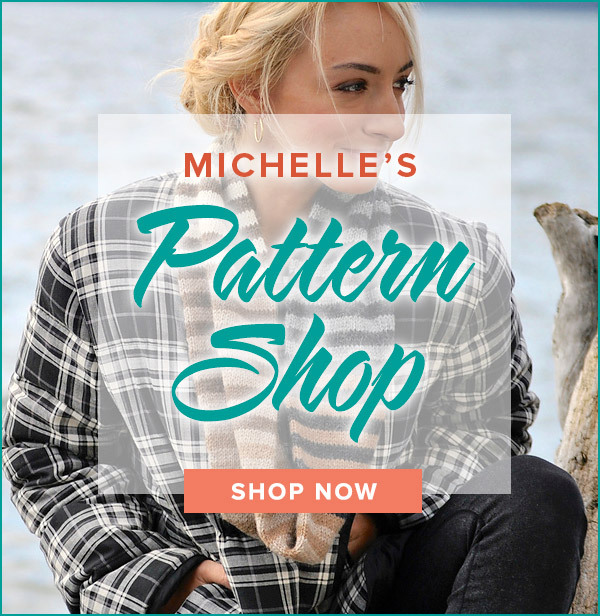 I have a condensed version of the complete pattern for you to download here. Ravelry users can find the pattern here. A big shout out to Skacel Collection, whose sponsorship brings you the knit along free of charge. They also generously supply prizes for all participants. 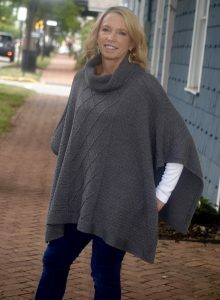 To be eligible for the prize drawing, complete the poncho and submit the entry form by November 30th. Remember, every entry is a vote for these KALs to continue. Contest overview, rules and entry form are found here. I also owe a big thank you to YOU! I am honored that you continue to choose to knit with me and grow your knitting skills. I have enjoyed hearing from you and following your progress. I will be back in the spring with another KAL. Be sure to subscribe to my newsletter to receive all of the updates and information as it is released. Until next time, wishing you all happy knitting! Note: Shoulders and neck are worked in garter stitch. Row 1. (RS) Sl 1 wyif, knit to 3 sts before 2nd marker, k2tog, k1. Place 48 sts between 2nd and 3rd markers on holder. Place remaining 80 sts on a second holder. There are now 79 sts on Left Side. First and second markers may be removed. Row 2. (WS) Working Left Neck sts only, knit across row. Row 4. Same as Row 2. Row 6. Same as Row 2. Row 8. Same as Row 2. Cut yarn leaving long tail to be used for upcoming shoulder seaming. Place these stitches on a separate holder. Return 80 stitches from second holder to needles, leaving center 48 stitches on holder. Row 2. (WS) Working Right Neck only, sl 1 wyif, knit to end. The center 48 sts on each Side One and Two remain on holders to be worked as neck. A shoulder seam is worked over the 76 sts on each side of neck. Repeat bind off for second shoulder. 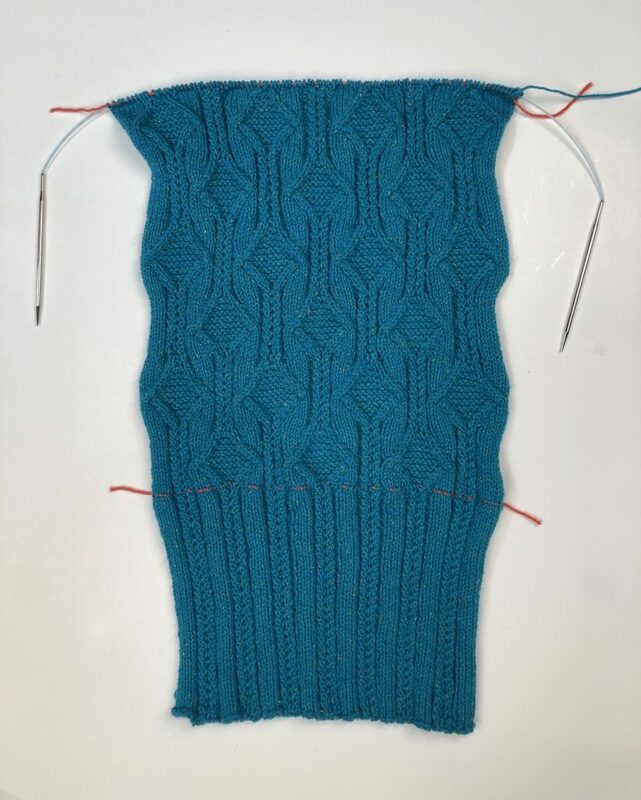 Using #6 16” circular needle and starting at left front shoulder seam, join yarn and pick up and knit 4 sts along left neck edge (1 st in each ridge). Knit front center 48 sts from holder. Pick up and knit 4 sts up right front shoulder (1 st in each ridge). Pick up and knit 4 sts down right back shoulder (1 st in each ridge). Knit back center 48 sts from holder. Repeat Rounds 1 and 2 until neck measures 4”. Change to #7 16” needles and work an additional 4” ending after a purl round. Note: I find it comfortable to use a #7 dpn to assist in this bind off as right hand needle. 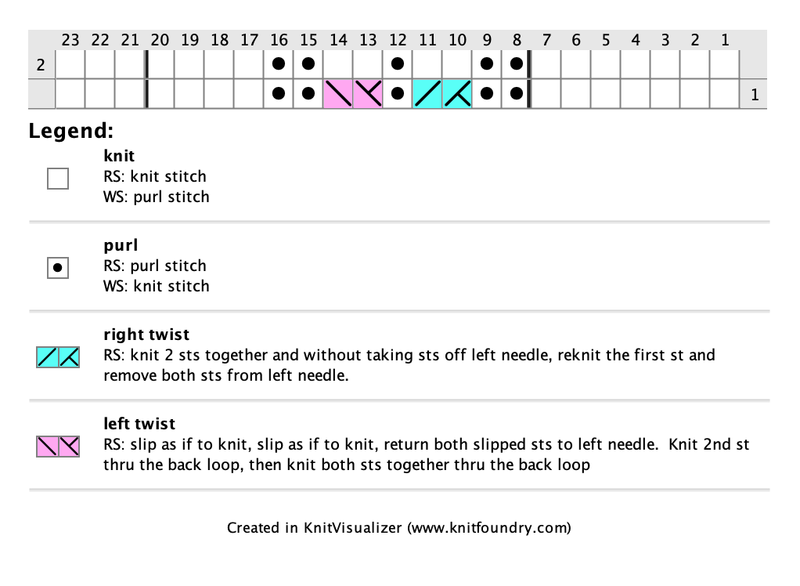 CO 3 sts, *k2, k2tog tbl, return sts to left hand needle; repeat from * to last st, cut yarn and pull through last stitch.